The 14' x 26" is a no compromise flatwater raceboard. The subtle rocker was refined for clean trimming, reducing drag and allowing maximum speed. 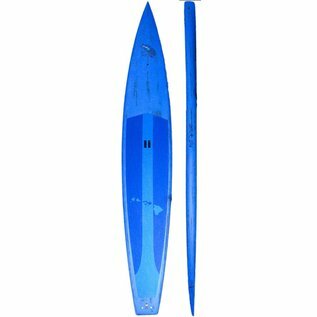 It excels in flat water and light chop, where the pointy displacement hull and soft rails in the front of the board allow a clean entry while the hard rails on the tail were refined to reduce the wake and minimize drag. This shape is the result of extensive speed testing and is the fastest 14' shape we have tested.